We only do yacht charter. We do not buy, sell, manage or equip yachts. We are fully dedicated to our client's charter needs. This formula has made us the world's largest yacht charter site. Yacht charters are about the magic that happens when you're on the water with your family, friends, colleagues or guests. We believe that boats provide this experience better than anything else, which is why we have such a passion for our work. When you book a charter through us we will ask you about the experience you are trying to achieve, and then provide recommendations about the boat, crew, itinerary and process to assure that we meet and exceed your expectations. It's not just about the boat! Free, unbiased advice to get you on the right boat. We want to put you on the right boat so that you will come back year after year, as opposed to operators who want only to put you on their boat! It's virtually impossible to tell from pictures and specs what the boat or crew is really like, which is where we come in. In consultation with you we will recommend suitable yachts from among our multiple owner/operators to assure the boat you choose is right for you. Elegance and style than on a luxury yacht. Crewed luxury yacht charters may cost no more than an exclusive hotel or cruise on a ship, however unlike a cruise ship or hotel you have ultimate privacy, control and freedom. The service is professional, personalized and friendly. Exquisite cuisine is prepared, to your liking, by your own personal chef and you can dine whenever and wherever you like. Join the growing numbers who sail in absolute luxury on their vacation, when and where they command. Luxury yacht can vary immensely in size, style and function. They can be sailboats, motor boats, classic or ultramodern, displacement or fast planning. Powerboats have the size and stability to provide saloons decorated with fruit bowls, artwork and sculptures and can be can garnished with bouquets of fresh flowers. The interior saloons are spacious and tastefully decorated and the private cabins are large with individual ensuites, which often include baths. The decks are designed with overflowing space, perfect for sunbathing and other outdoor activities. Luxury boats are also usually equipped with water 'toys', for your entertainment. The largest superyachts may also accommodate a helicopter pad, submarine bay, gyms and cinemas. Every charter boat has its own speed boat (tender) to take guests water skiing, ferry passengers ashore to the beach during the day or to dine out at night. Marine architects are now also producing plenty of sailing yachts from 35-65m, fully decorated and appointed with all the toys. These sailboats are incredibly powerful, safe and majestic. They allow you to experience all the comforts of a motor yacht, with the light spray of sea salt on your skin, and the silent sounds of the boat soaring through the waves.Luxury sailling yacht are impeccably appointed, adventure sailing machines. You need not even know how to sail. 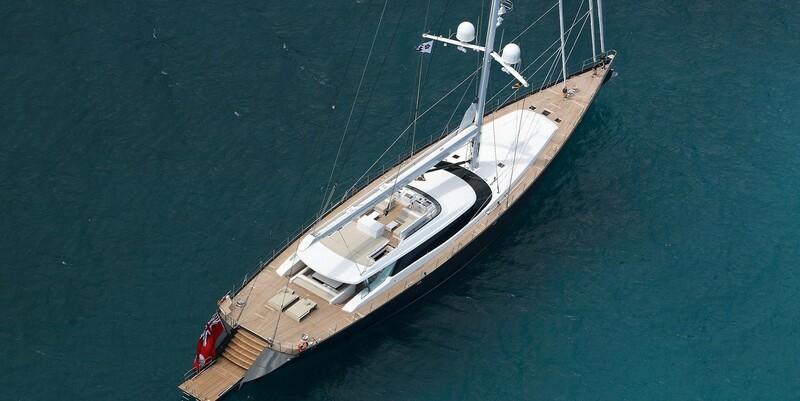 A full charter crew is appointed to sail your luxury boat, professionally and safely for the perfect sailing vacation. Charter vacations are fast becoming a popular way to enjoy spectacular scenery.